This brainstorming worksheet about persistence allows children to think about the traits that support persistence. For instance, working independently, not giving up, sticking to the task, attention to the activity, being driven etc. are all traits that support being persistent. 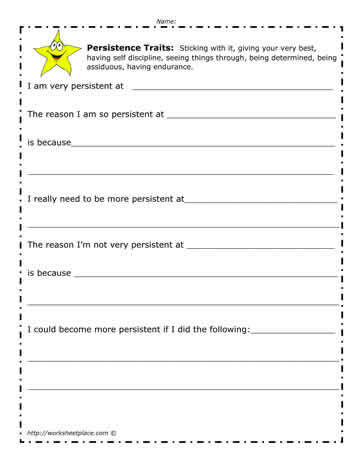 This persistence worksheets makes students think of what is needed to show peseverance. Focusing on the character traits in a classroom helps to improve effective habits that are lifelong.